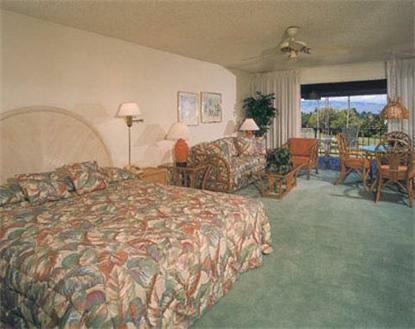 The Outrigger Maui Eldorado is located on the famous Ka'anapali Beach Golf Course and offers fully furnished studios and suites that include a kitchen, washer and dryer and air conditioning. You may lounge in the private beach Cabana or walk to shopping and dining at Whalers Village. Cool off in one of the three refreshing swimming pools they offer on site or play complimentary tennis at the fitness facilities located nearby.